In 1996 V-SEAL pioneered the development of modern high performance Concrete Countertop Sealers. We offer the #1 Topical Sealer system used by counter top professionals, the #1 UV Curing system used by countertop professionals, and the #1 Penetrating Sealer system used by counter top professionals. 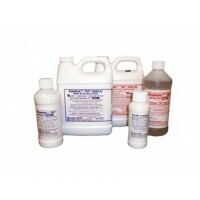 All of our #1 systems have been used and endorsed by the Concrete Countertop Institute (C.C.I.) and have been demonstrated in the classes and seminars in North Carolina and around the world. V-SEAL Concrete Countertop Systems offer you years of beautiful, natural, maintenance-free Concrete Countertops. 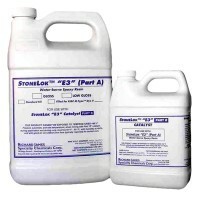 #1 Topical Sealer System - Stonelok™ E3/2K2 is water-based (food safe), unmatched stain resistance (coffee, wine, soda, vinegar, citrus, Tabasco, acetone, gasoline, Clorox and more), unbeaten abrasion resistance, 400 degree heat resistance (even a lit cigarette), available in gloss and satin finish. 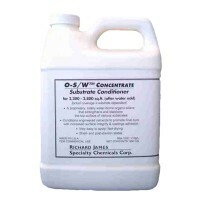 This system is also widely used by homeowners around the world. Available in larger quantities and low-gloss. Please contact us. *****DURING WINTER MONTHS, DUE TO COLD WEATHER SHIPPING, ONLY PHONE ORDERS WILL BE PROCESSED FOR STONELOK™ KITS. PLEASE CONTACT US. 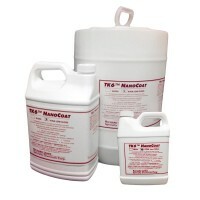 New to the countertop market, TK6™ NanoCoat is also manufactured by the creators of StoneLok™ E3/2K2. 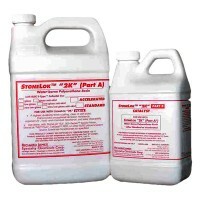 This product is less involved in application (no mixing), and slightly lower in resistances to abrasion and heat than the StoneLok kits, for approximately 1/4th the price. Deciding between StoneLok™ E3/2K2 and TK6™? Check out our product comparison: click here. 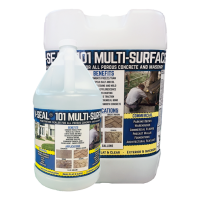 #1 Penetrating Sealer System - Counter top professionals (and homeowners) use penetrating sealers for exterior applications, vanity tops, furniture, mantels and other areas where a moisture blocking primer is needed before applying a stain resistant topical coating. V-SEAL® 101 may be used before StoneLok™ E3/2K or TK6™ NanoCoat for maximum protection from moisture and stains, or by itself if stain resistance to food is not the major performance criteria.V-SEAL® 101 has been their leading choice in penetrating sealers for counter tops for over two decades.